Apple is a popular high quality mobile platform in the market. And businesses across the globe are making money with iOS app development. That’s the reason that there has been a significant rise in demand for iOS application development services. But just hiring any iOS developer will not help you. To make it big, you will need the best iOS app development company which can design an app of high standard that is accepted by the App Store. 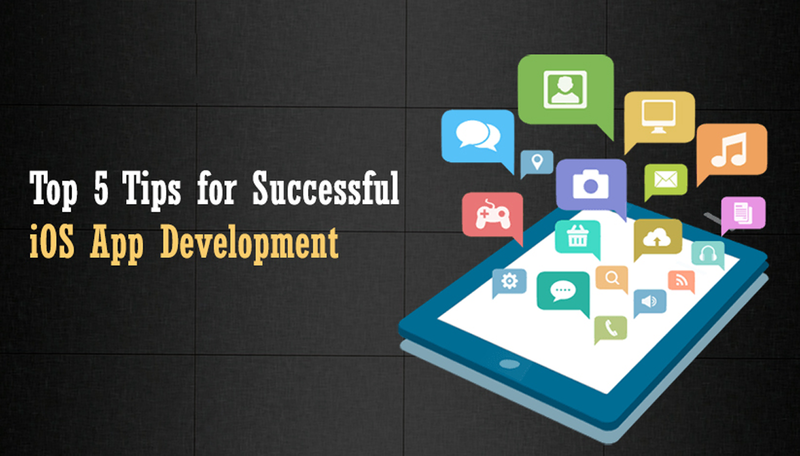 In this post, we have aimed at some very useful tips that make iOS app development successful in acceptance by App Store as well as performance. To make the app comfortable for the user, the content on the app should fit right on the screen. This means that the user doesn’t have to scroll here and there to read what’s written there. In this context, the font size is an important point to consider. It has to be of a decent size. Size should not be so small that the user has to zoom in to read. Depth in content: As the user moves from one screen to another, there has to be a flow of content, a feeling that the user is entering the depth of the content. Readability: The font size of the text has to be clear. The readability on the mobile device is another important point to consider. User Friendly: The layout has to be intuitive. Make sure the designs are clean and pleasant for eyes. The designs should flow smoothly and seamlessly. Another thing to keep in mind is that the images and content should always scale to the screen. This means that no matter what is the screen size, the scalability should be applicable to the latest and the second latest iPhone. It is common for every coder to make some kind of errors while developing the code. To handle such mistakes, error handling is a smart choice. By this we mean that if you have created an input box for name and you have therefore checked it for alphabets. But you have not made an attempt to check it for numeric or special characters. In such a situation, the chances of the application crashing are high when the data gets stored. iOS app developers should make sure that in such cases, an error message is sent to the user. Once your iOS app is ready, to upload it to the App Store, you would require your Apple ID. You will need to sign in using this code before starting with the upload process. Apple ID can be created without any charges but there is an annual fee of $ 100 if you opt to host the app on the App Store. Having an ID is an identification that you an iOS app developer. You might as well have some of your clients added you as a developer in their Apple accounts to upload and manage their app on their behalf. It is very important for an app developer to understand that the UI elements of the app are very significant. The user should feel comfortable in browsing the app, tapping on a particular element or simply making a selection from the drop down menu. When we talk about UI elements with 3D touch, we must know that they have different working on mobile applications and computers. With 3D touch, you can surely make your iOS app more intuitive and engaging for the users. If you have a small project on your mind, then you may opt out from intuitive project directory structure. But if you are working on enterprise mobile app, then it cannot be missed. This is because there is not just one iOS app developers working on the project but many others as well. Therefore, it is important that the project directories are intuitive and structured otherwise your codes can become chaotic. So if you want to keep things sorted and in an order, the intuitive project directory is a must. This would help you have complete control over the codes without creating any mess. So if iOS app development is on your mind, make sure that you incorporate these 5 amazing tips that can help you have the best application. If you wish to have an iOS App Development get in touch with us and let’s Build the app/solution that’s going to be viral make you rich.